Dragon Skin is back! 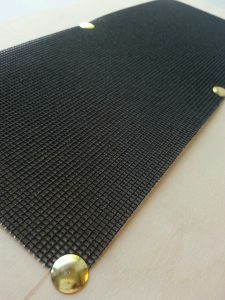 The manufacturer of the perforated metal sheet we used on the old Dragon Skin was discontinued, and through much research and testing we have found a new material. We are very happy with the results of the silicon carbine sanding sheet on our new Dragon Skin; it splits the hairs on the Maru Bake equally well, and seems to work faster than the old abrasive. For further information or to submit your work visit the Ink for Alaska website. Visit the A6 website for further information about these events and to learn more about the art center. 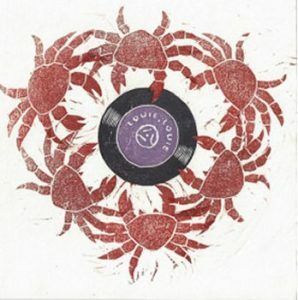 Join Alex, the owner of McClain’s Printmaking Supplies, for a four day Moku Hanga workshop at Atelier Meridian of Portland, Oregon. The workshop runs over two weekends, November 5 & 6 and Nov 12 & 13, from 10am to 4pm. All skill levels are welcome. Visit the Atelier Meridian website for further information or to sign up. 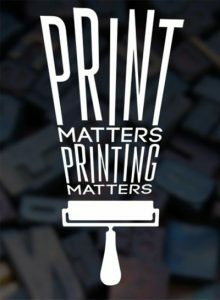 Mid-America Print Council (MAPC) Conference is October 5-8. This year the conference is hosted by Indiana University Southeast and the University of Louisville. 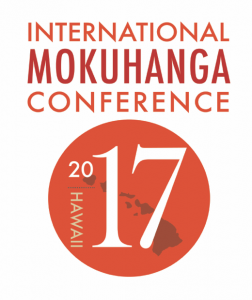 The third biennial International Moku Hanga Conference 2017 will be held September 28th – October 7th in Hawaii at two locations, in Honolulu at the University of Hawaii and at the Donkey Mills Art Center of Kona on the Big Island. 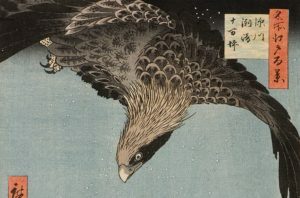 The mission of the IMC Association is to foster the expertise of waterbased woodblock printmaking professionals by continuing to improve the development of expression, tools and culture; to offer opportunities to present research and to share information; and to promote innovation and the dissemination of information about Moku Hanga (water-based woodblock printing). Visit the IMC 2017 website for further details and a current schedule of events.